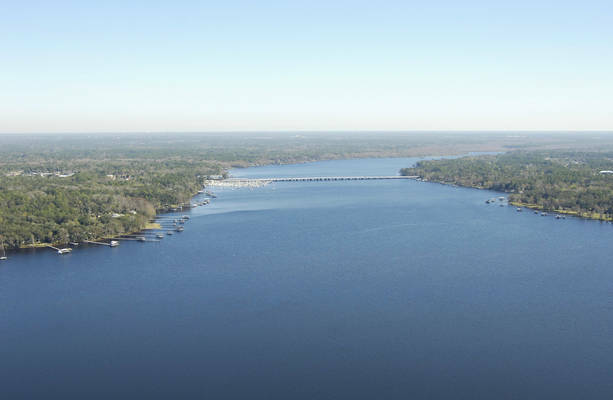 Julington Creek is a branch of the St. Johns River that is located about 17 miles south of Jacksonville across the river from Doctors Lake. 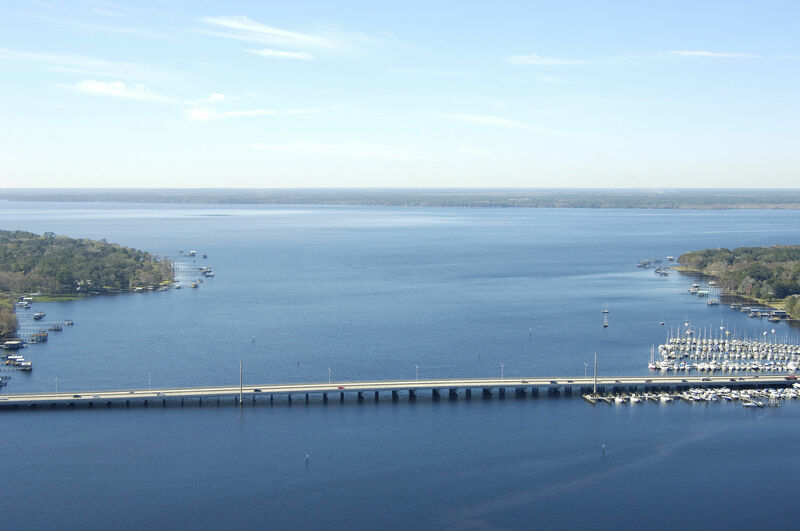 Julington Creek and the surrounding Doctors Lake areas are home to a number of marinas that are among the last facilities before you reach Palatka, some 30 miles to the south. 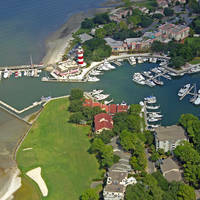 The image above is a view from the west over Old Bull Bay and the entrance to Julington Creek to the east. Depths in this area of St. Johns Rive range from 16 to 21 feet in the main channel, but then shallow quickly to four to six feet in some of the creeks, especially Julington Creek. 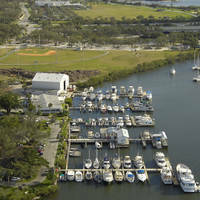 Julington Creek is home to Julington Creek Marina and Amity Anchorage, the latter of which accepts transient guests at its slips. 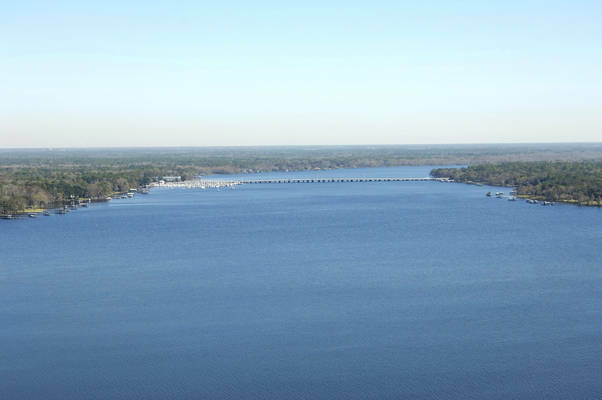 Doctors Lake, west of Julington Creek and Old Bull Bay, also has a few facilities for transient guests. To reach Old Bull Bay and Julington Creek from the St. Johns River, set a course to intercept waypoint 30 07.463N 081 38.864W, and then head into Julington Creek on a heading of 068 degrees magnetic for about a mile to arrive in the vicinity of the marinas just west of the 15- foot fixed vertical clearance bridge. No reviews yet! 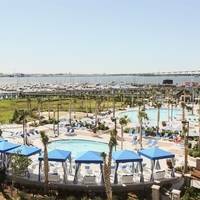 Be the first to write a review of Julington Creek Inlet.